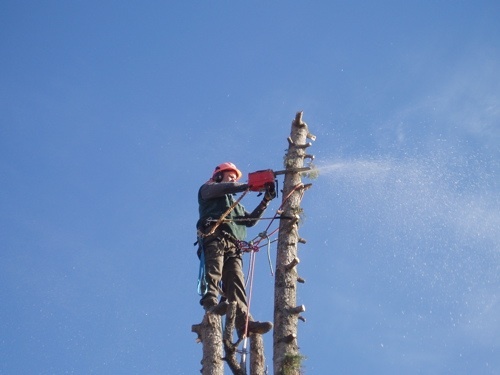 In all cases, tree removal is best handled by the professionals at Wild Rose Tree Service. We have the experience and expertise to remove your trees safely. This is a low-impact and effective way of getting rid of that stump. We grind the stump well below grade, often removing it entirely. Once finished, the area will be suitable for planting another tree, seeding, or laying sod. Please note that we require at least a 36″ gate opening to get our grinder into your back yard. (c) 2015 Shane LePage, Wild Rose Garden & Tree Service Inc.